The Evergreen State will finally have its own statewide magazine with the launch of 1889 Washington’s Magazine in February 2017. Statehood Media today announced its continued expansion in the Pacific Northwest with a bi-monthly lifestyle magazine aimed at inspiring Washingtonians and its visitors to live, think and explore the peaks and bays, the recreation and culture of the state. 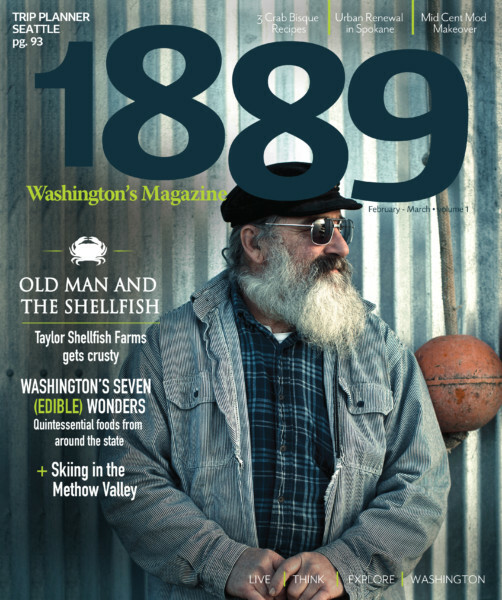 “Washington provides such a rich source of environmental and cultural inspiration for both residents and visitors, making 1889 Washington’s Magazine a natural extension for our brand,” said Kevin Max, Statehood Media founder and editor-in-chief. “As we did in Oregon, we plan to tell the great stories of the people and places of Washington—from Bellingham to the Columbia River, and from Neah Bay to Walla Walla.” Thought-provoking features will engage readers to learn more about the people and places of Washington. With stunning photography and vivid prose, 1889 offers a new way to see the Evergreen State. Travel articles are driven by compelling visual pages that inspire readers to plan their next trip. “1889 Washington’s Magazine will take us into the various cultures across the diverse state. From the Puget Sound to the high alpine and high desert, and from distilleries to design and recreation, 1889 is a stylish mirror for the best of Washington. Howdy, i read your blog from time to time and i own a similar one and i was just curious if you get a lot of spam remarks? If so how do you stop it, any plugin or anything you can suggest? I get so much lately it’s driving me crazy so any help is very much appreciated. Hey would you mind sharing which blog platform you’re using? I’m looking to start my own blog in the near future but I’m having a tough time selecting between BlogEngine/Wordpress/B2evolution and Drupal. The reason I ask is because your design and style seems different then most blogs and I’m looking for something completely unique. P.S Sorry for getting off-topic but I had to ask! I just like the helpful info you provide to your articles. I will bookmark your blog and test again here regularly. I’m moderately certain I’ll be informed lots of new stuff right here! Good luck for the next!